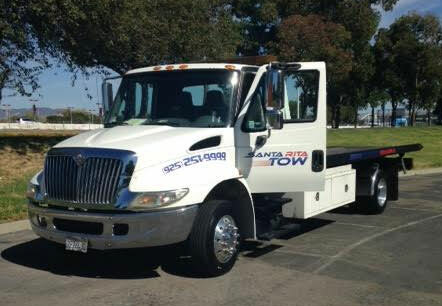 Santa Rita Tow offers reliable, fast auto towing service. We are located in Pleasanton and serve the surrounding areas, including Dublin and Livermore. We treat your car with care and respect. We can tow to your shop of choice or to our Pleasanton auto repair shop at Santa Rita Auto. We also own an auto dismantling yard in Pleasanton, if it's time to junk the car. Top dollar paid for junk cars! Call us today!